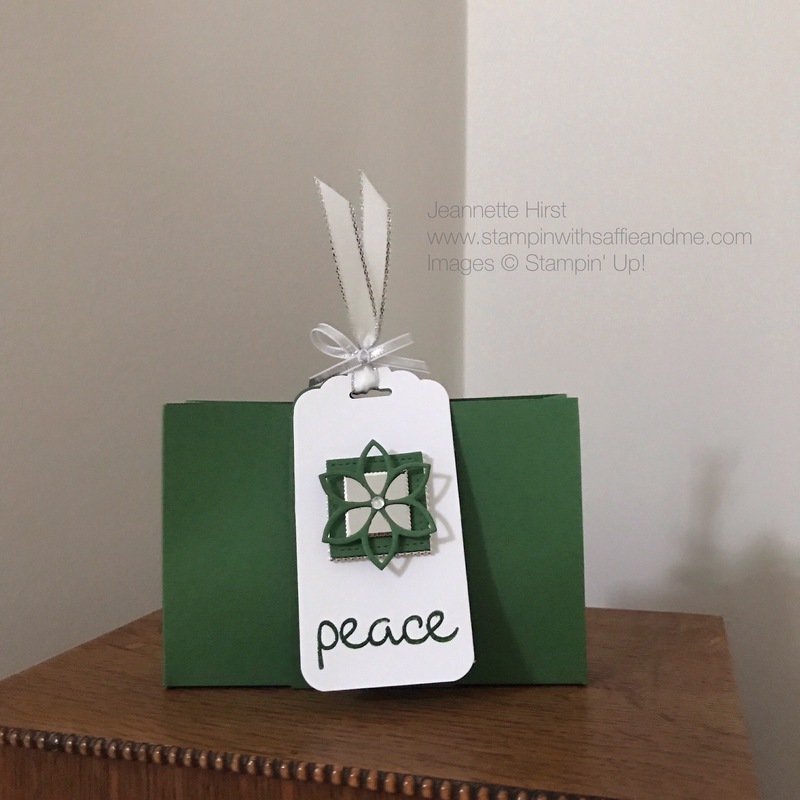 Christmas tags and box using the Christmas Quilt stamp set and Quilt Builder Framelits – Using Stampin’ Up products. A pretty contemporary gift box containing Christmas Tags. A lovely project to make in advance. I always run out of tags in the run up to Christmas and find myself with so little time so tend to start making mine quite early and I’m really pleased with these results and they are just perfect for adult presents. Just choose your favourite colour cardstock and team it with some shimmering foil. I chose Garden Green for mine with silver foil. I made some in Smoky Slate and also Rich Razzleberry which my mum took off me when she came to visit. She loved them! I used Layering Squares and Stitched Shapes Framelits (one of my favourites) to layer up my design and finished it off using the beautiful star from the Quilt Builder Framelits adding a single silver Rhinestone to the middle. I also heat embossed my sentiment to give that added luxury feel. Watch my video below to see how I put it together and subscribe to see all my new projects! To purchase the products used on todays project click on any of the products listed below this takes you straight to my on-line shop and will give you a more detailed description of the item. Or simply go to the shop now button at the top. If you have any questions or comments do let me know.